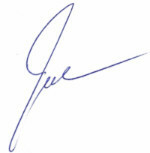 Joe Cistone | As the CEO of IPM, University Lecturer, & UCC Pastor, The Rev. Dr. Joseph Francis Cistone works for & writes about nurturing justice, peace, & hope around the world. As the CEO of IPM, University Lecturer, & UCC Pastor, The Rev. Dr. Joseph Francis Cistone works for & writes about nurturing justice, peace, & hope around the world. We must counter hate with love, terror with hope, and evil with good. Living Into the Shared Promise of a Passover & Easter Weekend. Thursday night I had the privilege to celebrate again this year a Jewish Seder Meal and the Christian Holy/Maundy Thursday with a small group of committed friends. As we read our way through the Passover liturgy, we were reminded of the bitterness of the Israelites captivity in Egypt and of the way that Jesus of Nazareth, like the Prophets before him, sought to bring liberty to those “captured” in a system of imperial injustice that most profoundly harmed the imprisoned, orphaned, widowed, and stranger. The empire of Jesus’ day—one that forced his family to become refugees and eventually nailed him to a cross—echoes in many of the populist policies of today while the Project Partners around the world that IPM accompanies continue the millennial struggle to be recognized for their inherent human dignity and equality in God’s eyes. IPM’s deep, long-term relationship with the peoples of Central America–El Salvador & Nicaragua in particular–causes us to challenge the rationale and efficacy of recent US government policies that destabilize nations on one hand while preventing the freedom of movement of the most vulnerable with the other. Such policies only lead to further emigration–the very reality that our current administration seeks to stem. Similar policies toward people of Muslim descent, belie the oft-repeated claim that the USA is a “Christian” nation. Failure to confront the authoritarian dictatorships of our day, which punish the very people for whom both Moses and Jesus sought liberation, is perhaps the greatest heresy of our time. This Passover and Easter weekend it’s vital that we remind ourselves of what the shared Abrahamic faith of so many of us commands: that we act justly, love mercifully, and walk humbly with our God. We join our voices with the IPM’s multi-faith Partners to insist that another world is indeed possible AND that it starts with each of us. This holiday weekend is a time to remind ourselves of the power that each of us has within our hearts & hands to be a seed of liberation & love… a promise of both regeneration & resurrection. I pray that you find such inspiration as you commemorate Passover & Easter. And, may the peace that passes all understanding continue to guide us all in our common effort to make this world a more just, peace-filled, and hopeful place. Wrote this more than 5 years ago but no less relevant today. I had planned to write you today with New Year’s Greetings while reminding you of our year-end match campaign. And, in fact, you may donate to IPM through this evening (and via check’s dated December 31st) to support the remarkable work of our Project Partners and Regional Offices around the world. But early this morning while accompanying an IPM Immersion Experience delegation in Rome, I learned of the passing of longtime IPM’s Project Partner Paula (Paulita) Perez. Paulita had been battling a terminal illness for some time and while her passing was not unexpected, it is no less heartbreaking. A peer of mine in age and socio-political orientation, Paulita and I shared a myriad of remarkable experiences over the years. I—and countless IPM colleague and friends in El Salvador—will miss her deeply. Paulita was born to parents who were actively engaged in the social ferment of El Salvador in the second half of the last century. Active participants in their faith community and the political process, they were targeted for unspeakable horrors and ultimately forced to flee from their home to the outskirts of Zaragoza. Their faith and family held strong. They raised their children, grandchildren, nieces, nephews, and countless friends to believe that change was indeed possible and that it was everyone’s responsibility to actively work toward a world more equitable and just for all, but especially, the poorest of the poor. I first met Paulita as one of the co-founders of the Muyer y Communidad (now ACOMUJERZA) Women’s Sewing Cooperative. This was one of the first new Project Partners of my then still new tenure with IPM and modeled on the work of a similar women’s cooperative in Nicaragua. Paulita was short in stature but strong in spirit and will. She was a fighter, an embroider, and an inspiration. She taught countless IPM Immersion Experience participants over the years how to embroider—a talent I never fully acquired—and what it means to be a Christian who prays with ones actions in the world. In conversations at the Cooperative, long walks around her community, and overnight stays in her family home, I got to know her like few other Salvadoran women of my generation. Later in our relationship as I recovered from the lingering effects of Hepatitis E and her health deteriorated more rapidly due to her own liver disease we would talk increasingly of mortality, the health of her elderly mother, and of the remarkable impact she had had on so many in her own small way. I would stay awake at night tormented by how her illness would have likely been curable in the States, as mine was, and yet her path ahead would be undeniably hard. She was not one to mince words, and she struggled with how the political situation in El Salvador stagnated just as the Beatification of Oscar Romero brought some hope. In the past year, I saw her much less frequently as IPM’s Immersion Experience numbers in El Salvador declined and her own health kept her more often at home than at work in the cooperative. But I, like many, thought often of Paulita: of the powerful influence she had on the Cooperative’s founding; of the way her embroidery skills were a hallmark of their work and would carry on in the next generation; of the powerful witness of her extended family; over questions of why she, of all people so strong and so dedicated, was struck with such a debilitating illness; and, of her hopes for the future of her beloved El Salvador. 2018 has been a tough year for so many. Replete with challenges for our Partners and friends living through civil unrest in Nicaragua, the growing autocracy in Brasil, India, & Kenya, and fear-mongering & xenophobia in the USA. It has also been a year where many of us celebrated the almost impossible dream of Oscar Romero’s portrait hanging from Saint Peter’s facade and with the faith that the pendulum would swing back again—bringing a new generation of social, political and religious leaders more focused on justice, peace, and hope. 2019 promises to be a different year as they all are. A year in which I trust IPM and the world will continue to counter hate with hope, and fear with love. As I dream of what might be possible in the year (and years) ahead I will remain inspired but the example of so many of you and, particularly, of the witness of one tiny but powerful women who I had the honor to call a friend. Paulita is just one shining example of the kind of person IPM believes in and the kind of Partner that thrives at our core. Her life and her commitment will continue to inspire me as I know it will so many of you. And I pray that her spirit—like that of so many who have given their lives in the service of others and of this movement—will continue to animate all we do. Please join me in praying for the Perez Family at this time of mourning. Please consider making a gift in Paulita’s honor to support ACOMUJERZA & IPM’s Partners in El Salvador. And please be assured of our best wishes for a more joyful and peace-filled New Year. Thanksgiving–It’s Each of You I Am Thankful For! It probably won’t surprise you to know that Thanksgiving remains a holiday of mixed blessings for me. Created as a myth that denies the reality of genocide perpetrated against Native communities and now largely morphed into a shopping holiday, I continue to wrestle with exactly what we are claiming to be thankful for. For the five years in Italy when I served as an IPM Project Coordinator at the Joined Hands Refugee Centre, I juggled wanting to share “the best” of the U.S. Holiday Season with my foreign-born daughter and what such a holiday might mean for the Refugee members of the JHRC. We’d travel the countryside to find the “right” bird and host hundreds for a special feast. Those shared meals in the heart of Rome reaffirmed my sense of the Holiday’s value and taught me much about what it means to live a life full of gratitude in a world where so many are left longing. When I returned to the States in 1997, Thanksgiving was not only a welcome break from the workweek, but an opportunity to continue a tradition of service and shared sustenance. In fact, helping to prepare a meal for the less fortunate or running in a Turkey Day 5K to bring early Christmas joy to hospitalized children, was rewarding to me in a way that a meal replete with political and religious discord simply never could be. During the past seventeen+ years with IPM I’ve found a new appreciation for the Holiday just as I have bristled at its false pretense. Thanksgiving has become for me—as I know it is for so many of you—an unique, annual opportunity to step back, count our blessings, and redouble our efforts to make a difference in a world that is hurting. We all have much to be thankful for. And those of us in these United States have a daily abundance that remains the envy of many and yet we bristle when they show up at our door seeking refuge. We fear the other and remain deeply divided by class, ethnicity, gender, race, and religion. Hate seems to be on the rise and fear mongering remains the expedient form of political discourse. But there is also a spirit at work in communities across this nation and around the world that speaks to another way. A vision of human thriving that is grounded in what we have in common, not that which divides us. A faith in the power of love to make change and a growing commitment to the hard work that real, sustainable change entails. 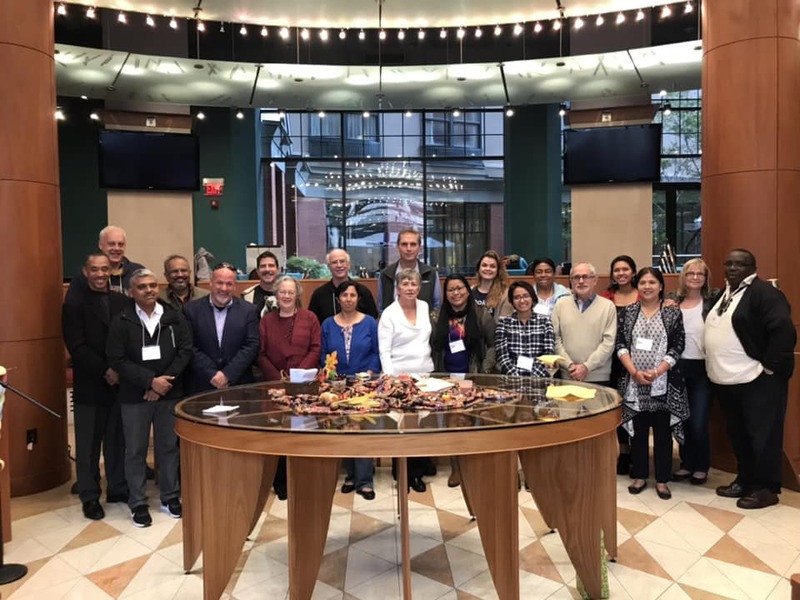 IPM’s II International General Assembly in Cleveland last month was a reminder of just how much is possible when we are able to spend time together, face to face and hand in hand. Whether we hailed from South Asia or Sub Saharan Africa, the Americas or Europe, we knew (and know!) that the world needs just the sort of person-to-person connection that IPM has been nurturing for forty-four years. So as you sit down for a meal this Thursday, I’d ask that you keep IPM in your prayers and meditations. That you would join us in redoubling our efforts to honor the indigenous communities around the world whose stories of joy and thanks giving often remain unknown to us. And that you will take the time to slow down and remind yourself what a difference your time, talent, and treasure can make in the life of the IPM Family. For it is your commitment to this International Partnership Movement for which I am most grateful this week and that continues to help us make all the difference in the world. Best wishes for a joyful and peace-filled Thanksgiving Holiday! I also know, however, that my faith and the espoused traditions of this nation, call each of us, and especially our elected leaders, to a higher purpose. From the great 5thCentury African Theologian, Augustine of Hippo, who proclaimed that an unjust law is no law at all, to the Salvadoran Bishop Oscar Romero who argued on the eve of his assassination in 1980 that even soldiers were compelled to resist a law that ran counter to the will of God: our Christian faith tradition is replete with reminders that political leaders who govern counter to the will of a loving and merciful God merit both our condemnation and resistance. But it’s not just my faith that compels me to speak out against the heinous treatment of the refugee and immigrant families seeking our nation’s protection. The United States of America remains bound by the 1967 Protocol Relation to the Status of Refugees and other international agreements created specifically in response to how our nation and others closed their borders to those seeking asylum as millions of innocent civilians were murdered by the Nazis and their collaborators. I’m sorry José, I can only share this sad thing we’re living! Still we are very encouraged in our work and looking for how to help women planning self-help workshops to manage stress and anxiety in this social conflict. We know that with your prayers and our faith everything will improve, (IPM Project Partner). IPM has a long, loving, history with Nicaragua and the Nicaraguan people. Augsburg College’s Casa Jaime Mayer (named for our co-founder, Jim Mayer) is just one living example of IPM’s legacy there—a rich legacy that we continue to live out in this our 44thyear, through our local Partners, colleagues, and friends as the quote above illustrates quite personally. As you may know, over the past few months, Nicaragua has been back in the news again in a manner that is eerily resonate for those of us whose history with that beautiful country and its resilient people goes back to the Iran-Contra affair and the proxy wars that tormented Central America in the 1980’s. On one hand, in November the US Government sought to eliminate the Temporary Protected Status (TPS) designation that has allowed more than 2,500 Nicaraguans to remain in the USA for nearly two decades and replace it with provisional residency for 14 months before being forcibly repatriated. IPM stands with all those seeking to protect TPS and provide sanctuary for those whose protected status may soon be overturned, forcing them to abandon their US citizen children and livelihoods. On the other, after his re-election to a third consecutive presidential term in November of last year, Daniel Ortega and his spouse, Rosario Murillo—the new vice-president and heir apparent—proposed in April to significantly alter the nation’s social security program. The immediate reaction from pensioners, veterans, and students was to take to the streets. The protests were brutally put down and more than sixty Nicaraguans were killed. The Nicaraguan government has subsequently withdrawn the proposed changes but the negotiation process for these and other necessary changes remains tense with a change in Nicaragua’s political leadership long overdue. In addition to our longstanding accompaniment of IPM’s remarkable Nicaraguan Partners, we continue to offer Nicaraguan Immersion Experience Programs specifically because the type of work we claim as our purpose is not always easy or without risk. IPM’s Immersions generate income for our Partners and Regional Staff, just as they are a vital and concrete expression of our solidarity with the Nicaraguan people and the deep historical connection we share. My colleagues, Fatima and Adela, from El Salvador will travel to Nicaragua in June to build upon their April visit there with former IPM International Board Member, Mark Falbo—who is helping us secure quantitative and qualitative background for our II International General Assembly in Cleveland (OH, USA)—and publically demonstrate IPM’s concrete commitment to accompanying our Nicaraguan colleagues and Partners. We spent a difficult week, the government remains very calm, despite the big pressure the people are creating in the streets. At the end of the day, the government accepted a dialogue. We are hoping for the best to come out of this conversation. My family is well, thanks for asking. Good morning dear Fatima, we deeply appreciate your solidarity and support for our people. From the beginning of the social conflict in Nicaragua until today, we have felt warmly embraced by the sincere affection of IPM family that have joined our sadness and prayers. Thank you !! Our country has a lot of mourning and pain!! It is unfortunate this struggle between brothers that is endless with so much hatred and resentment on both sides. The events of violence have brought mourning, pain and death to our people. The principles of our organization are ideological freedom, power freedom and religion freedom…We follow up the idea of creating an integral organization (all-inclusive) and keep perusing our dreams of creating an integral country (all-inclusive) as well; in which we are not a divided country but an inclusive country. We keep struggling to build a democratic, tolerant and fair society for everyone. This past Monday, the dialogue proposed between the government and the Catholic Bishops proved inconclusive at best. The situation remains tense and reminds all of us just how fragile democracy and peace can be. Write your Senators and Congressional Representatives to insist that the US Government refrain from making inflammatory statements about Nicaragua or covertly taking sides in this matter, since our intervention will only lessen the possibility for peaceful resolution at this time. Keep IPM’s Project Partners, colleagues, friends, and the Nicaraguan people at the center of your prayer life and/or meditation practice. 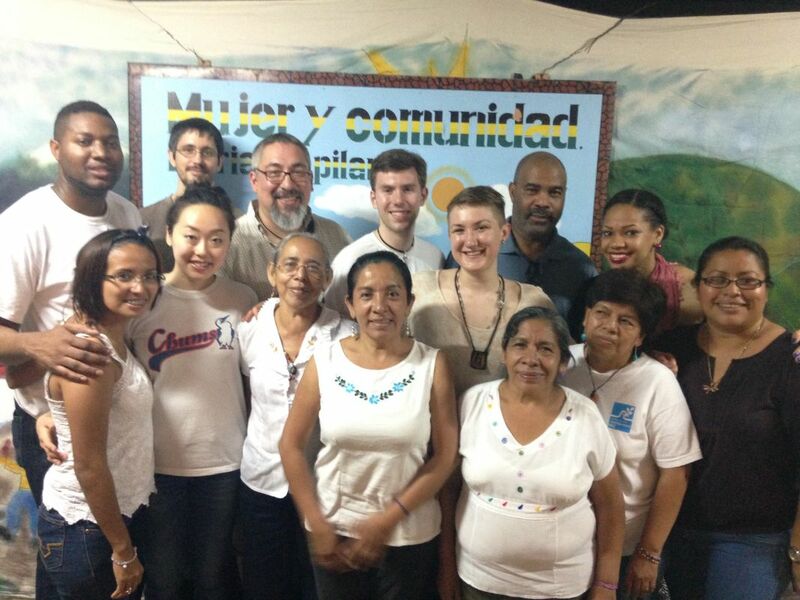 Continue to support to IPM as we nurture the good work our Nicaraguan Partners are doing to promote justice and hope in their communities by donating at: https://www.ipmconnect.org/donations-2?viewmode=listor calling 1.866.932.4082. Thank you for reading this and your continued willingness to stand alongside IPM as we seek to embody Jim Mayer’s prophetic vision of “exposing North Americans to the global realities of poverty and injustice, and challenging them with a new vision of society grounded in justice and love.” In Jim’s memory and in solidarity with the Nicaraguan people, we remain, faithfully yours. What a week it’s been! It seems like I’ve been saying that a lot this past year but this time there was as much sadness as joy, fear-mongering as hope for the future. The #MarchForOurLives last Saturday was inspiring and a welcome reminder for me that the Christian holiday of Palm Sunday commemorates Jesus’ own march into Jerusalem as a direct confrontation of Roman rule where the lives of Jewish children clearly didn’t matter. While some took to social media to challenge who was “really” behind the prophetic response of Parkland’s students, many of us asked where the similar outrage is when black lives are taken? Today’s release of an independent autopsy of Stephon Clark confirms what the #BlacksLivesMatter movement has been reminding us for almost four years: the way our society still views black lives and black bodies is infused with the bias of centuries of white privilege in a nation where we still falsely claim equality for all. It took a remarkable 11-year old girl, Naomi Wadler, to remind us once again that we are still so far from what we claim to be, (https://www.nbcnews.com/video/naomi-wadler-gives-speech-at-march-for-our-lives-rally-bringing-attention-to-african-americans-left-out-of-the-gun-violence-discussion-1194281539844). Some will continue to attack Emma Gonzalez and the Parkland survivors as opportunists or point to Stephon Clark’s past as some sort of twisted excuse for being murdered in his grandmother’s back yard, but what I see in these events, and so many others like them, are signs of a nation that is lost and afraid. Most of us in the U.S. claim Christianity as our religion, but over this weekend, how many of us are truly willing to head the words spoken to the first apostle, Mary Magdalene—Be Not Afraid. Why else would we stand by when a loving father, the Guatemalan born Felix Garcia, who has been living and working peacefully in the US for 23 years, is detained just as his US citizen daughter is completing her third year of medical school at IPM’s frequent Immersion Partner, Loyola Chicago, (to take action click here: https://ignatiansolidarity.net/blog/2018/03/21/take-action-stop-deportation-of-felix-garcia-father-of-loyola-chicago-medical-student/)? How could we even imagine forcibly repatriating more than 200,000 Salvadoran nationals with protected status to a country they barely know, while leaving a like number of their US citizen children behind at a time when our State Department claims it’s unsafe for US citizens to travel there? The older I get, my best guess is that it is because we don’t see—let alone feel—how our lives are connected to theirs. Perhaps we feel there is just too much evil in the world to respond. Maybe, most simply, we are afraid? Last night I gathered with friends and colleagues from across our community to celebrate a Jewish Seder Meal and Christian Communion Service. In re-reading the Passover texts from Exodus and other sources, I’m reminded that the best of our religious holidays—Holy Thursday & Passover, Ifthar & Diwali—are not just about what we may or may not believe; but of the importance of gathering together and getting to know one another over a meal. Clearly we can’t find a way to eat with everyone. But that doesn’t mean that at table with family, friends, and even those we barely know, we can’t come to understand what is the most essential message of IPM: that the vast majority of the world’s citizens desire the same things for their children and families that we do for ours—plentiful food, ready access to potable water, a quality education, affordable healthcare, & the right to love whom we choose. You can travel with me on an IPM Immersion for a myriad of such meals. You can support a local food co-op or help your faith community provide more community meals for those you barely know. But do something. We all need to do something if we want to live free of fear. When I looked at the faces of those who gathered with my children and I at the march last Saturday, when I look across the room at those commemorating Passover, when I recall breaking a fast or breaking bread on a floor India: I see eyes that gaze back deeply at mine, eyes that won’t let me go, eyes that keep me awake at night and challenge all of us to do more. As you gather with friends and family this Holy weekend, I hope you’ll acknowledge that so few people in our world have the opportunities we do. I pray you’ll recall with Martin Luther King, that “injustice anywhere is a threat to justice everywhere.” And perhaps most importantly, I plead with you not to see difference in a young black man murdered in Sacramento, a young woman’s pride in their Cuban heritage standing silently in front of thousands in DC, or a father detained in Georgia, but to see yourself and all you love in them. For as we do onto them, we do to ourselves. And until we come to respect and love one another despite our difference, we will always be afraid. My parents are retired teachers—public and parochial schools respectively. My cousin teaches in one of the most challenged districts in our nation. My daughter and her partner are in their third years with City Year and Teach for America. I’ve taught/teach at a secondary school in Rome, two denominational seminaries, and at one of the best (the best IMO!) universities in the world. So why does that matter? Because in no case did I feel I should be packing a gun to “protect” my students. That’s what my friends in law enforcement and the military are for! I can shoot. I grew up around guns and hunters. I live in a state where deer and moose season is an annual festival. We can protect a right to bear arms while ensuring our basic human right to life. But kids shouldn’t be allowed to carry guns to school. Those with mental illness and histories of domestic violence shouldn’t be allowed to have guns at all. And most of all, it ought to be a lot harder to buy a gun than it is to vote, drink a beer, and drive a car. #GunsInTheWrongHandsKillPeople just as people do. But I’ll take my chances with a knife any time. So politicians, stop prostituing yourselves to the NRA. Preachers, stop making excuses for incredibly bad behavior. Principals resist any decision to arm your teachers. Police do your job and keep guns out of the hands of those who have no reasonable right to have one. And all of us—parents, friends, people of faith—let’s be honest about what the 2nd Ammendmanet was really meant for and come together around sensible gun legislation to keep us all safe. We owe it to the kids killed in Parkland, those massacres from a Church in Charleston to a concert in Cegas, and to all those whose whose lives have been taken by guns in the wrong hands. Happy New Year from IPM! This New Year’s Eve will find me in Assisi with an IPM delegation focused upon the Hebrew & Christian Scriptures from the Perspective of Art, Faith, and Service. While back in a country that was my home for seven years—and where I first served as an IPM Project Partner in the early 90’s—I am reminded of Francis of Assisi’s famous dictum: Preach the Gospel Always, Only When Necessary Use Words. Our work within the IPM Family remains fundamentally about just that: “preaching” through our actions in the world. The notion of lived rather than just spoken faith has been at the heart of IPM since our founding by former Lutheran Missionaries, Rev. Jim Mayer & Rev. Paul Strege and their families in 1974. IPM continues to partner with Eden Theological Seminary (St. Louis), Yale Divinity School (New Haven, CT), Holy Cross (Worcester, MA), Saint Joseph Academy (Cleveland), and other faith-based and secular Program Partners who view our Immersion Experience Program as the perfect avenue for the transformational learning their institutions and students desire. 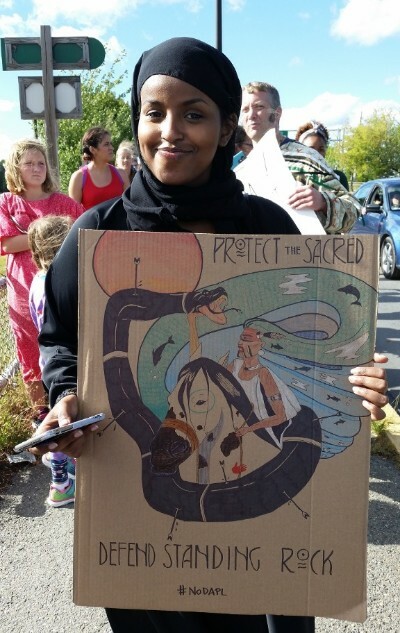 In the USA, IPM took a more active role, consistent with our founding principles, to advocate on behalf of the inherent human dignity and often denied human rights of immigrants, indigenous peoples, persons of color, people from minority ethnicities & religions, refugees, and women & girl children. I could go on and on but my point is quite simple—IPM continues to transform lives in a manner that is making a tangible and sustainable difference in our world! Please know that as a 100% privately funded organization IPM is completely dependent upon the generosity of people like you to ensure we continue making a difference in the world. You can support IPM directly right now by clicking here: DONATION LINK All donations made or dated prior to December 31st will count toward our special year-end Challenge Match made possible by the Singing for Change Foundation. Thank you for all you do to make the work of the IPM Board, Staff, and Partners possible! We couldn’t accomplish any of what I’ve listed above without people like you. On behalf of the entire IPM Family, please accept our best wishes to you for a joyful and peace-filled New Year! This month most of us within the #IPMFamily will gather with those we love to celebrate the Holiday Season and New Year. For those of us of the Jewish faith, #Hanukkah has recently concluded—an eight day Festival of Lights not too dissimilar from the Hindu Festival of #Diwali or the Muslim concept of finding God’s light in all things–ending this year on the eve before the Winter Solstice in the Northern Hemisphere. Similarly #Kwanza, beginning on December 26th, marks the celebration of more than 5million U.S. citizens, who utilize light to honor their African heritage and emphasize the power of coming together, (#Harambee in Swahili). For those of us of the Christian faith, the annual celebration of Jesus’ birth not only coincides with the lengthening of light that comes on the heels of the Solstice, but also a deep connection to our #AbrahamicBrothersAndSisters in the hope that divine justice—not division or conquest—will reign on Earth. All of us, no matter our faith or which holidays we celebrate these few weeks, live in times when justice is defined quite differently. Our nation seems to have lost its moorings. The coming week caps a year when hope and love have seemed fleeting. A time when the very concept of Sanctuary, for the poor amongst us and especially for those whom we call “stranger,” is in particularly short supply. But it is times like this when the story of any child to a family on the run from an Empire and its authorities, is deeply relevant. The story of a particular Holy Family seeking shelter and a child born in a manger remind us that our faith is grounded in marginalization, simplicity, and familial love. A season of light is upon us in the midst of a world darkened once again by fear and intolerance. We remain deeply divided from our fellow citizens & immigrant neighbors. Simplicity often gives way to grandeur, family often comes second to possession, and love struggles to find voice in a climate of hate. But we can’t give in to that. #Faith and #hope and #love are needed more than ever and they are exactly the values that IPM has sought to nourish and uphold for more than four decades. As you continue to celebrate in the week ahead and as you nourish the need for light in out lives, please know how grateful we are that people like you continue to ensure that fear won’t win. May this special time with family and friends, refresh and embolden you for the struggles ahead. And, may each of us reflect this season of light and love throughout the coming year!